Are your nails brittle and constantly peeling? If you answered yes, then you suffer from flimsy nails. But don’t worry! You can grow strong, healthy nails. 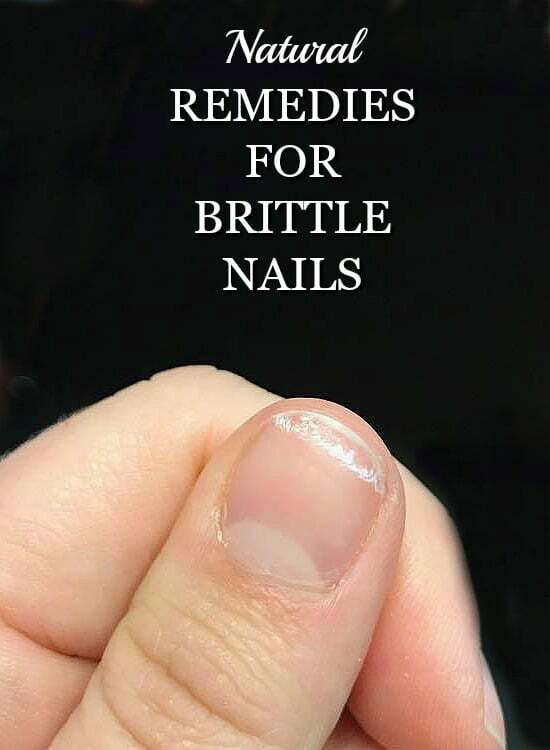 I’ve got 5 natural remedies for brittle nails that are guaranteed to help you grow beautiful, strong nails. 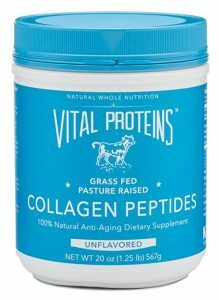 I can not stress enough how adding collagen peptides to your diet will help strengthen your nails. My favorite brand is Vital Proteins. I add one scoop at a time to my afternoon cup of hot tea. It’s tasteless, so it is easy to consume. You could also add a scoop or two to a smoothie or in your morning coffee. Healthy cuticles = healthy nails. If you have dry cuticles that crack, or you use clippers to cut them back, you are removing the nail’s natural defenses against infections. Use an orange stick to push back cuticles, then apply a cuticle cream nightly. The cuticle cream will lock in moisture, which helps prevent splitting and cracking. 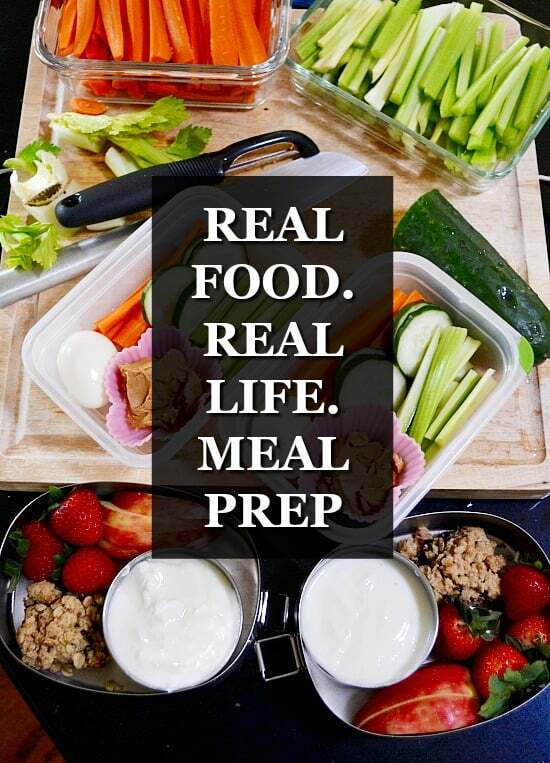 This is such a simple fix, but it will go a long way towards helping you grow strong, healthy nails. Activities such as daily dish doing and gardening dry out nails and leave them prone to breakage. Make wearing a pair of eco friendly gloves consistently is one of the healthiest nail habits you can make. The acetone and alcohol in nail polish remover will dry your nails out and cause them to be weak and brittle. Always use a soy based nail polish remover. Add a weekly olive oil soak to your weekly beauty routine. Soak nails in a bowl of pure olive oil for 10 to 15 minutes. Start by soaking them two times a week. After a month, soak them just one day a week. This beauty hack is one of the best natural remedies for brittle nails because it is easy, inexpensive and effective. My nails are proof you can use these natural remedies to fix your nails. In fact, now my problem is how fast they grow! 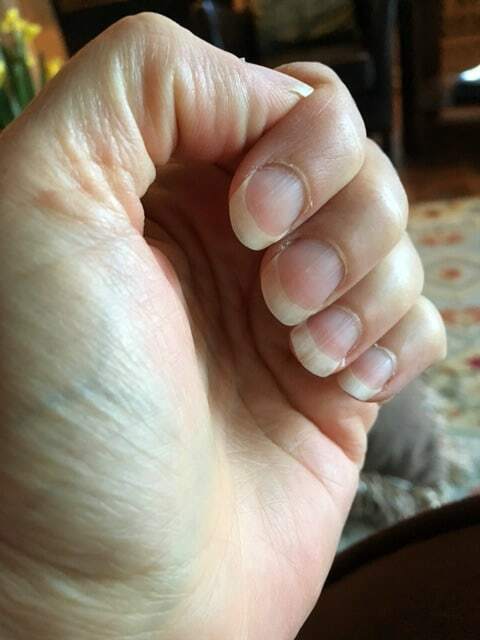 Have a natural remedy for dry, brittle nails I didn’t list here? I’d love to learn about it in the comments. Previous Post: « 100 Loads of Charlie’s Soap for Just $0.13/load! I’ll have to try an olive oil soak. I use coconut oil weekly now. I noticed your nails have the same vertical ridges that mine do. Have you run into any remedies for that? Many moons ago I took a supplement that helped but have forgotten the name/makeup. I was a recommendation from a naturopath.